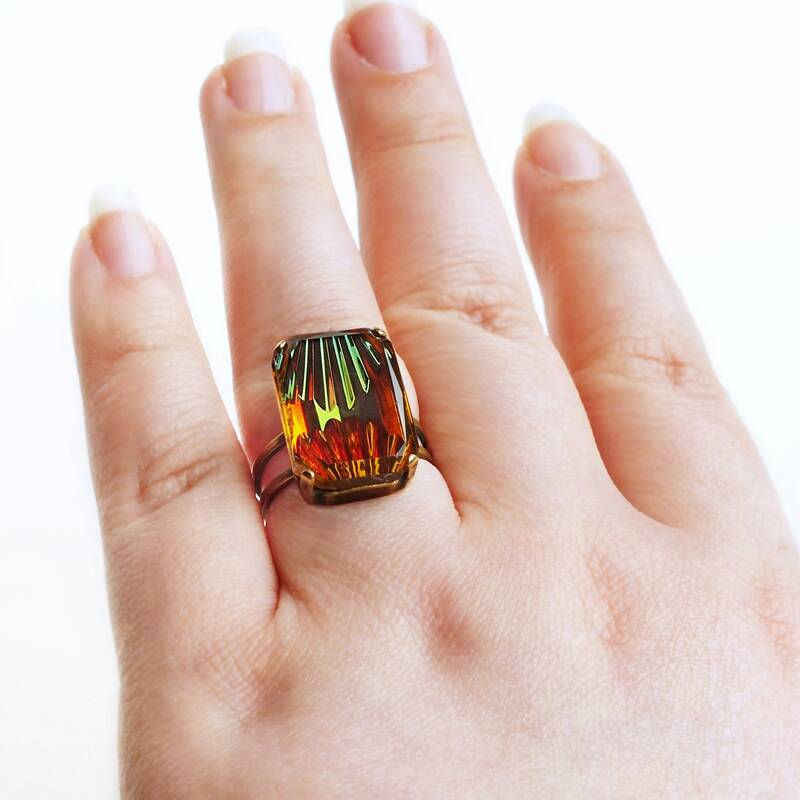 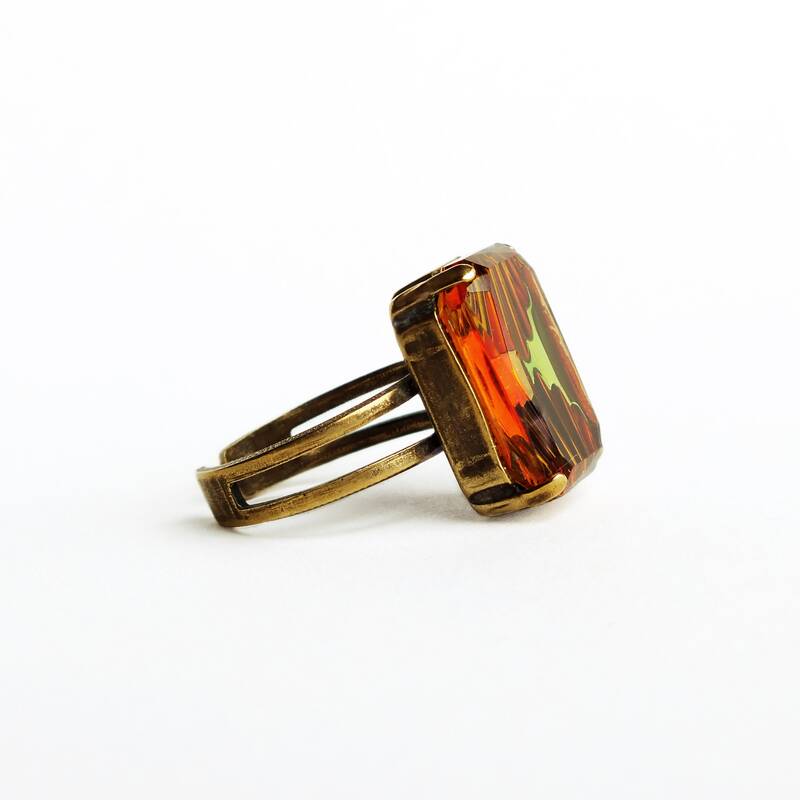 Handmade amber olive green glass ring with vintage Art Deco reverse carved glass rhinestone and adjustable brass ring. 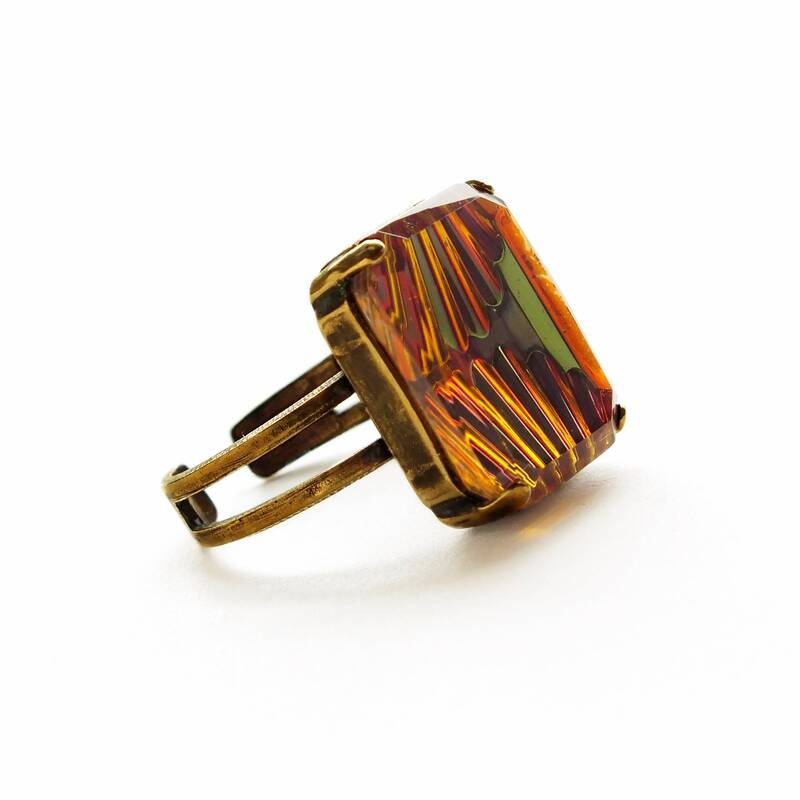 Hand-adjustable ring band size 5 to 8. 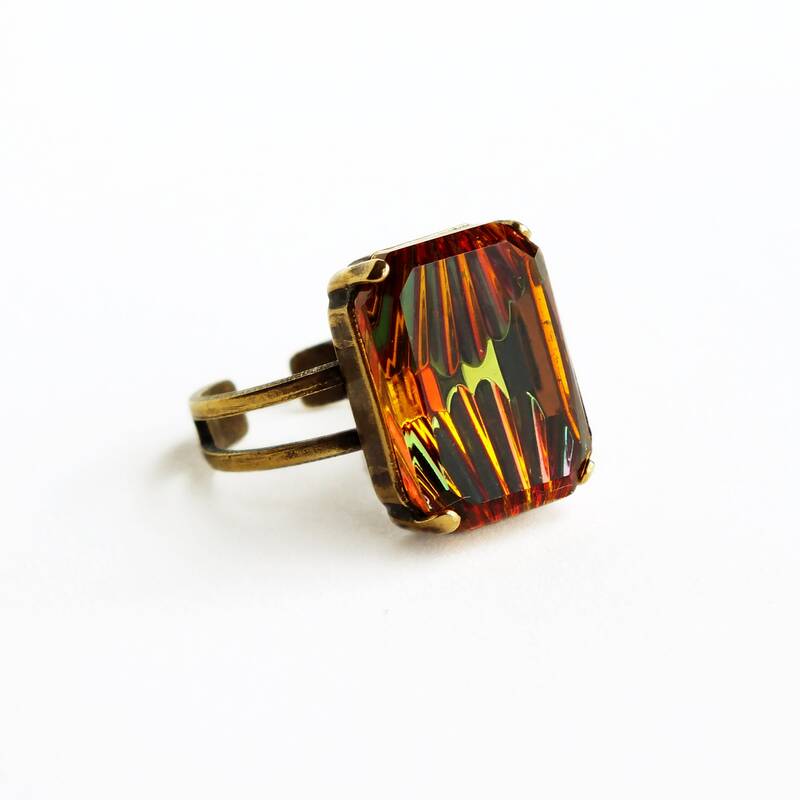 Art Deco ring made with the most beautiful ultra rare vintage glass rhinestone! 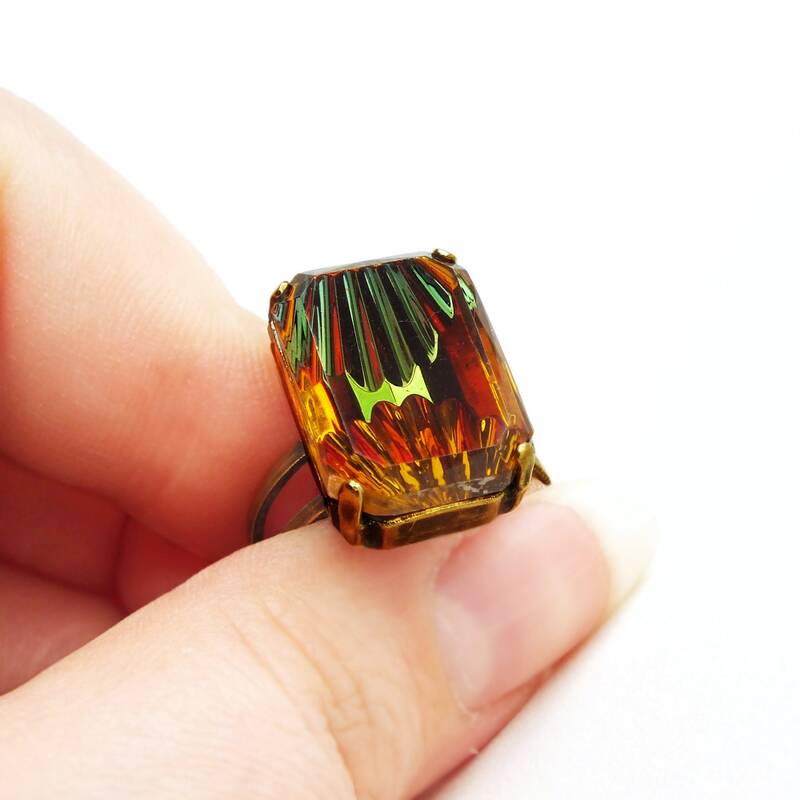 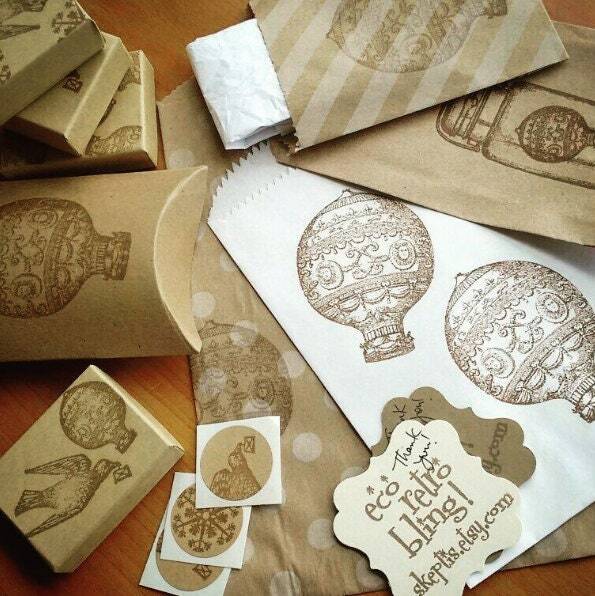 It has an iridescent amber and olive green palette and has a reverse carved Art Deco scalloped design.